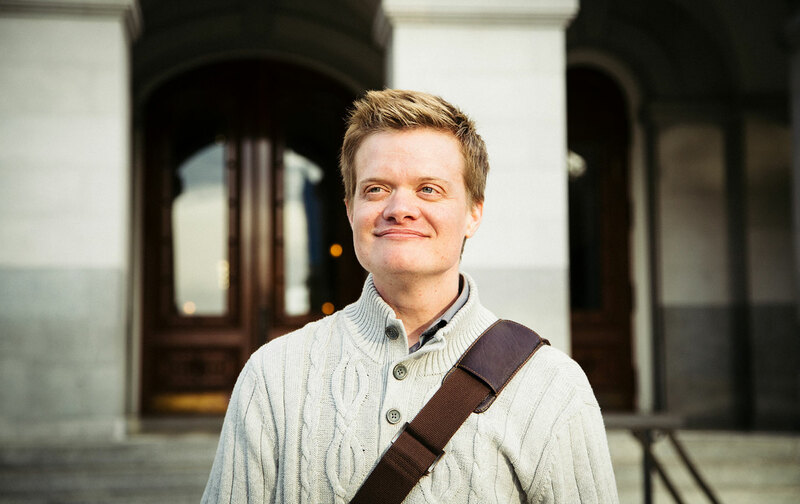 An interview with the co-chair of the California state Democratic Party’s LGBT Caucus, who recently transitioned from female to male. What does California mean to you? It means safe to me. It means I live in a place that is much more accepting than other parts of the country—where, as a transgender gentleman, my life could very well be at risk. That’s not to say that in California we don’t have our enclaves or really conservative areas and really conservative individuals, but at least our rights are protected in terms of the law, and our state seems to be more progressive on these issues. I have a tremendous support system here, made up of coworkers, colleagues, some good friends. I used to work at the state Capitol, but then I quit to take care of my medical issues. It was a wonderful community. People pulled together for me like never before. I was astounded by how many people supported me, and told me I was courageous. I organized the first Trans 101 workshop at the Capitol. I generated the first all-gender, multi-stall restrooms at the Capitol. I had a bunch of different surgeries recently, transition-related. I’ve been very open about my story, posts on Facebook that are really raw and honest. In response to that, people have been open and supportive of me. You live in California, which compared to elsewhere in the country comes off as a relatively safe haven or protected space. Is that right? I live in a fairly conservative area. It’s not safe everywhere. I had a friend who grew up in a rural part of California, and people had guns and would threaten him. He was gay. We’re not all safe. I feel like if my neighbors knew that I was transgender they might have a problem with me. Even here in midtown, when I identified as gay, two of my neighbors had a problem with me. We’re not all safe and not all protected, but probably more so in California than elsewhere in the nation. You’ve got the country moving in one direction, and California, Oregon, Washington and Hawaii moving in a totally different direction. Is that emblematic of a bigger schism? It’s like a pulling apart. From what I can read, in North Carolina, with HB2—regarding many things, but among them the restroom issues for trans folk—it’s just illustrative of the dynamic we’re in right now. There’s a schism, it’s a really unique time in history for us trans folk. With the Trump administration, my god, it puts us all in disarray and at risk. And with the Muslim ban, LGBT folks who are Muslim, if they’re not able to seek asylum when they need it, they have to go back to these countries that can be heinous to them. What do you hope California will become over the coming years? I hope that we will actively fight the repressive actions of the national politics, of the Trump administration. I hope we can be a beacon of light and we can lead the nation in that way. I hope we can serve as an example to other states with our progressive laws, progressive legislation, and I hope that they can be duplicated and even surpassed.